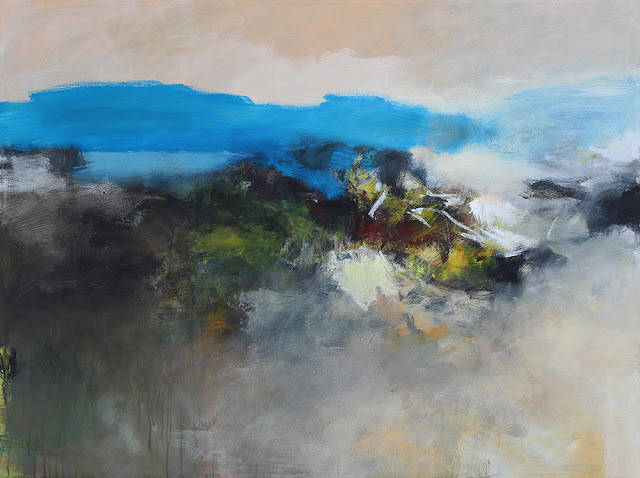 G Hotel Gurney’s G Art Gallery presents A&J with their collaborative paintings on nature in abstract form from 3 August 2015 to 31 August 2015, with the art exhibition titled Osmosis. A&J is the acronym for Alfred Yeoh and Jeff Jansen. Collaborative paintings are rarely seen as most artists prefer to work alone in their own creative style. Collaboration requires artist to coordinate the time and place to merge their individual painting style onto one canvas. Alfred and Jeff share a studio with separate working spaces. With this convenience they are able to comment on each other’s artwork with the idea of improving each piece. That’s how Alfred and Jeff started their collaborative relationship and decided to sign their creations A&J for recognition. Jeff, a landscape designer turned fulltime artist since year 2008. Jeff studied art in his younger days under Malaysian pioneer artist Chia Yu Chian for sometimes but did not immediately spur himself into becoming an artist. He however remained within the creative industry. His horticultural background dictates that his favourite subjects to paint are semi-abstracts of natural forms. His observation of flora and nature easily flows onto his canvases in a myriad of colour and movement, the layers of colours creating depth and interest. Born and raised in Kedah but currently based in Penang, Alfred Yeoh never had any formal training in art, although he has always found it fascinating. It was not until he started managing an art gallery about 9 years ago that he knows his foray into the industry was to be something more permanent. Alfred paints abstracts and figurative works with a composition designed to capture a mood. “Sometimes we work on each other’s artwork and surprisingly both our painting styles blend well to become a new form of art” quoted by A&J. The official launch of the exhibition was held on the 3 August 2015 at G Art Gallery at 6pm – 7.30pm with refreshments. Alfred & Jeff were present at the launch of their exhibition to showcase and explain in detail on the meaning of their artwork. Their art pieces are available for public to view or purchase from 3 August to 31 August 2015. 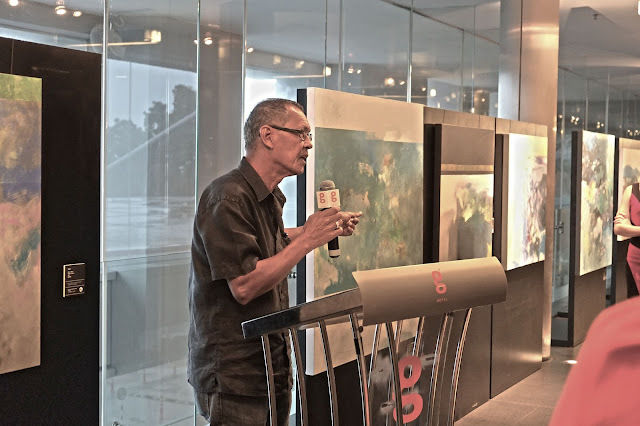 “Malaysians would be proud to know we have such talented and intellectual artists who are on par with international standards.” Mr. Michael Hanratty said. G Art Gallery, a contemporary art gallery was established in October 2011 in G Hotel to promote and support the arts community, both locally and internationally. 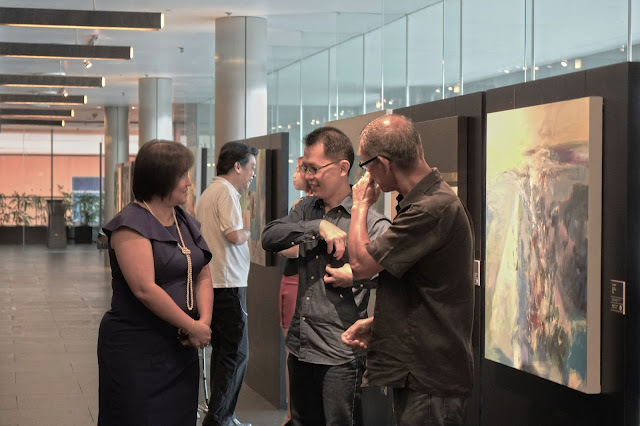 Since then, G Art Gallery has featured renowned artists from different background and talents such as oil paintings, photography, watercolour, calligraphy, copper tooling and others. Located at the first floor of the hotel (link bridge), G Art Gallery is open for public viewing at no charge. G Art Gallery looks forward to showcase more varied artists.